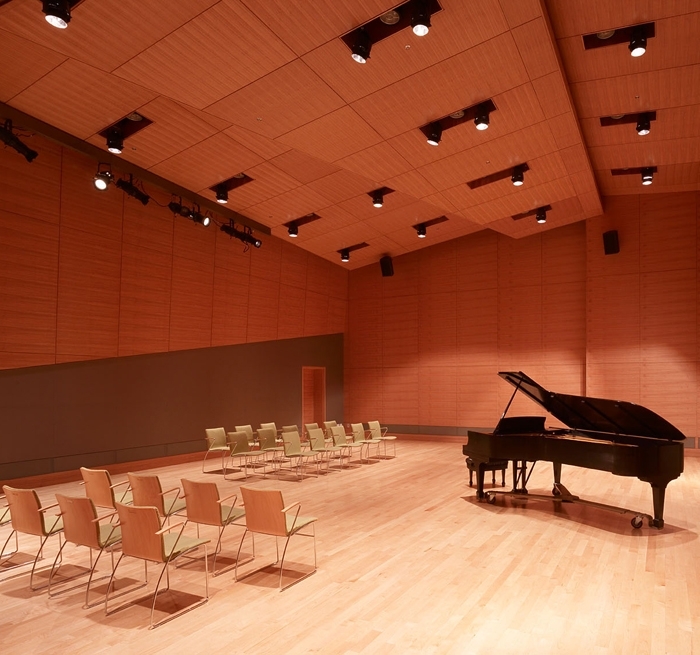 Auerbach Pollock Friedlander provided initial planning and full scope theatre consulting in the design of the 445-seat Concert Hall, the 135-seat Recital Hall and the 100-seat Osher Salon, as well as an audio-video communications systems for and all studios, classrooms, and recording studio. 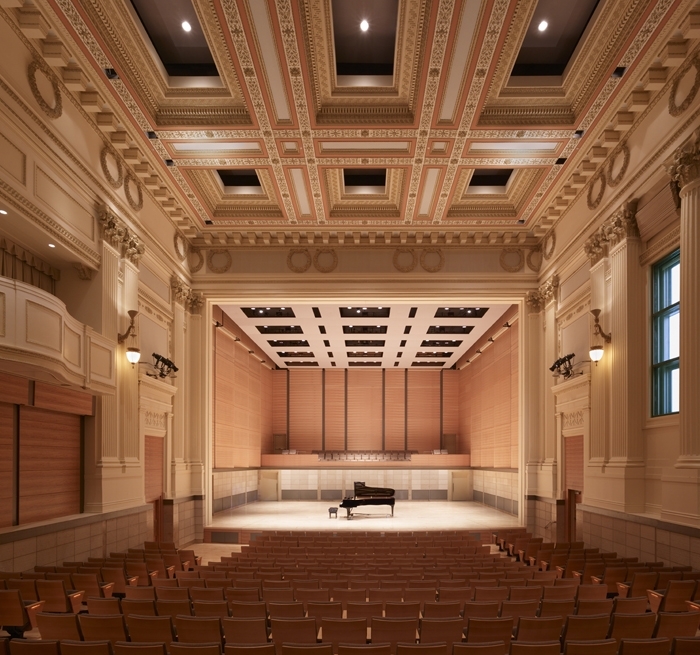 With the audience chamber built within a renovated existing ballroom of the historic International House building and one wall eliminated to accommodate the stage, the Concert Hall is configured in an end stage format with two small rear side galleries and a small balcony box. An on-stage choral loft alternatively serves as audience seating behind the orchestra. 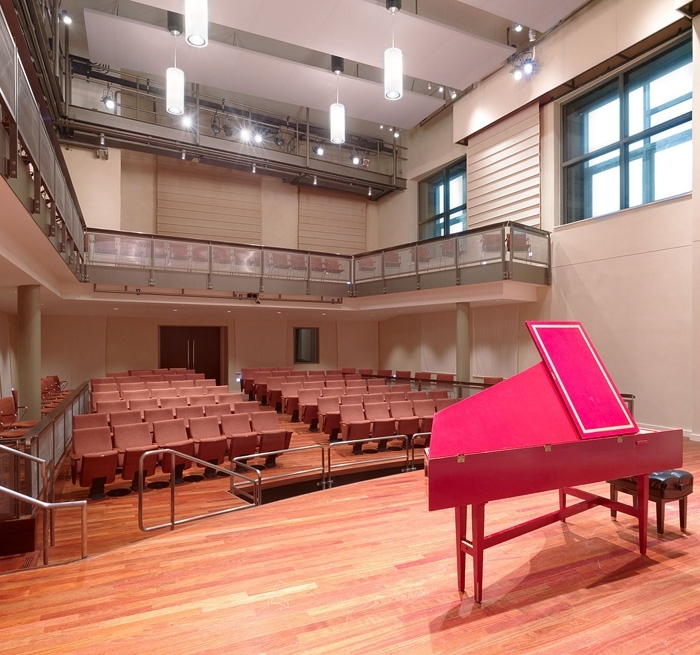 The asymmetrically-configured Recital Hall has an end stage with main level fixed seating, an informal rear and side gallery of chairs, and balcony and upper side gallery chairs; the concept of the upper gallery allows students to enter inconspicuously to hear performances and rehearsals. Supporting small ensemble events, visiting artist showcases, and auditions, the venue maintains an aural intimacy for audience and performer. The Osher Salon is a flexible-seating space with retractable traveler velour curtains for variable acoustic absorption. Audio-video systems, include built-in motorized projection screen, sound system and infrastructure tie-line to the recording studios, as well as support for video projection, while simple theatrical controls give ease of lighting via a touch-screen panel.